Ground rules, where to shop, and how to go custom with confidence. Many men settle for subpar style, not knowing that this affects every aspect of their lives – their career, their relationships and their well-being. Why do we settle for mediocre wardrobes? Because buying clothes can be confusing, overwhelming and expensive. Short men have it particularly bad. There are Big & Tall stores everywhere. Women have plenty of petite options. But men under 5’8” have truly gotten the short end of the stick. If you’re below average height, you probably have trouble finding clothes that fit. You’ve bought jeans that are too long, dress shirts that billow out at the waist and bunch up in the arms, and polo shirts that fit well in the chest but go several inches past your belt. I feel your pain. At 5’6”, I’ve struggled my whole life to find clothes that actually fit. The problem is, clothing manufacturers make clothes for the average man, who happens to be 5’9” and slightly overweight. Even though some companies offer smaller sizes, they are usually out of proportion and hard to find. Here is the good news! By following some basic guidelines, shopping at the right stores, and getting into custom clothing, you can dress sharp, regardless of your height. And when you do, your height won’t be the first thing people notice about you anymore. It will be your sense of style. And with that comes the job, the girl and the confidence that every man wants. Let’s start with some ground rules on fashion for short guys. There is some good information out there about style for short men, but most of it is crap. If you search for tips on the web, you’ll likely end up at some GQ article claiming a pinstripe suit will make you look taller. 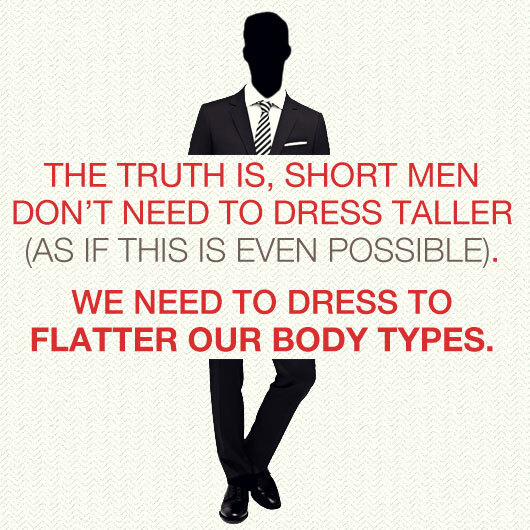 The truth is, short men don’t need to dress taller (as if this is even possible). We need to dress to flatter our body types. Fit is more important than brand, price and color. And yes, there are certain things you can avoid in order to not look shorter. DO stick with vertical patterns. DO go with small patterns. Whether it’s gingham, stripes, checks, or whatever, make sure it’s small. DO pay attention to proportion. Accessories like ties, watches and belts should be narrow and small (unless you are on the heftier side, in which case a slim tie will only make you look wider). In general, keep things slim, understated and simple. DO get your pants hemmed! This is very easy and cheap. Your dry cleaner can do it for less than $20. DON’T wear broad, horizontal patterns. DON’T wear shoes with thick soles to look taller. NEVER buy “risers” (shoes that are created for the very purpose of adding inches). DON’T buy baggy clothes. They won’t make you look bigger. In fact, they make you look smaller and younger. DON’T wear double-breasted jackets. Stick with single-breasted, one or two button jackets. DON’T shy away from tailoring. Basic alterations can go a long way. If you want to know what’s possible in terms of alterations, start here. Now that we understand the basic rules, let’s quickly review where to shop. Unlike women’s stores, men’s clothing shops don’t have “petite” sections, but there are a handful of stores who carry clothes that flatter the short body type. Banana Republic (my personal favorite) – When it comes to off-the-rack clothing that fits short men correctly, I’ve had more success with BR then any other store. My favorite and most versatile pair of pants are their Emerson Chinos. Their Heritage Slim Fit jeans are great too, along with their Merino sweaters and wool dress pants. Try to avoid their button down shirts and polos, as they tend to be too long. BR can be expensive, but Primer has got you covered. Gap – Good for some things but bad for others, Gap can be hit or miss. 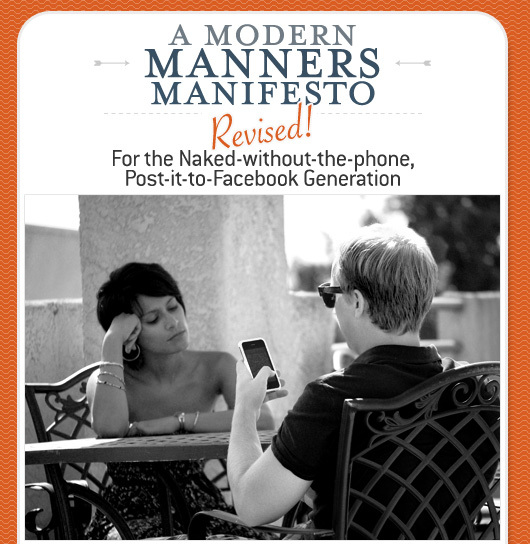 For example, stay away from their button downs and polo shirts. These tend to be too long for men under 5’8”. However, their 1969 straight fit pants are great for casual wear, and their zip up hoodies fit short men wonderfully. Peter Manning – This is one of the only clothing manufacturers who focuses exclusively on men under 5’8”. PM clothes are classic staples (chinos, polos, button downs, jeans, etc.) made for shorter men. They use a proprietary sizing system based on height and weight, and they very well might be the best off-the-rack fit you will find. If you’re sick of bringing everything you buy to the tailor, give Peter Manning a shot. American Apparel – For us shorter gents, even t-shirts are hard to find. A “small” tee is often too long and wide. The American Apparel small is the right length, and it’s nice and slim. Levi’s – Solid, affordable and available everywhere, Levi’s 514 and 513 cuts flatter most guys. When trying them on, don’t worry about pant length. Hemming is cheap and easy. Make sure they feel good in the seat and thighs. If you’re feeling adventurous, you can give their Shrink-to-Fit jeans a try. Lacoste – Sick of polo shirts that are too long and baggy? Try on a Lacoste polo or a slimmer Lacoste L!Ve collection polo. They use a European sizing system, and their size 3 might just fit you perfectly. H&M – While their clothing isn’t the highest quality stuff, they tend to carry smaller sizes than most brands. Even in the store, you will always find S, XS and even XXS on the racks. H&M is particularly good for sweaters and cardigans. If you want to make their stuff last, check out this guide for taking care of cheap clothes. Lucky Brand – For high quality jeans at reasonable prices, Lucky Brand is a great option. Go with the 121 Heritage Slim fit if you’re short and thin. If you need a little more room in the legs, try a pair of the 221 Original Straight jeans. Pacific Sunwear – I can’t vouch for PacSun shirts, but their Bullhead Slim denim pants are the best fitting casual pants I own. Last but not least, when all else fails, you can go custom. It’s not as difficult or expensive as you might think. You can limit time spent in department stores (yay!). You can get clothes that fit well without an extra trip to the tailor. You can customize every aspect of your clothing (color, fit, details). The clothes might not fit properly. You have to wait for items to ship, often from another country. You have to deal with returns and customer service. Made-to-measure clothes can be expensive. That said, if you do your research and are willing to go through a little trial and error, custom clothing is totally worth it. I promise, the first time you try on a shirt that fits your body perfectly, you will be hooked. Do your research – There are a ton of companies. Some of them make everything from suits to chinos. Others just stick to shirts. Decide what you want (a dress shirt is a great starting point), narrow it down to two or three companies, and read some reviews before you buy. Stick with one company – Don’t expect your first order to turn out perfectly. You very well may have to send it back for alterations or work with customer service to find the best solution. Even if your garment does fit well, you might want to to adjust one or two measurements slightly. For this reason, I recommend sticking with one company at first. You will learn their measurement system, develop a relationship with their support team and be confident in future orders. Don’t measure yourself – While it is possible to measure yourself, it is not the best way to do it. Go to a local tailor and get your measurements, or have a friend/wife/mom measure you. You can get free tailor tape right here or buy it for a few bucks on Amazon. Alternatively, many custom clothing companies allow you to send in your best-fitting shirt for them to measure. Be patient – It might take 4-8 weeks to get your first custom shirt, depending on if it needs alterations. I promise, it’s worth it. Be patient and remember, it only gets easier. Let’s be realistic – men’s clothing stores aren’t going to start making products for specific body types anytime soon. But if we stick to some basic style principles, learn where to shop and make full use of custom clothing, we short gents can dress sharp – regardless of our height. Brock runs The Modest Man, a blog for short men who want to dress better. 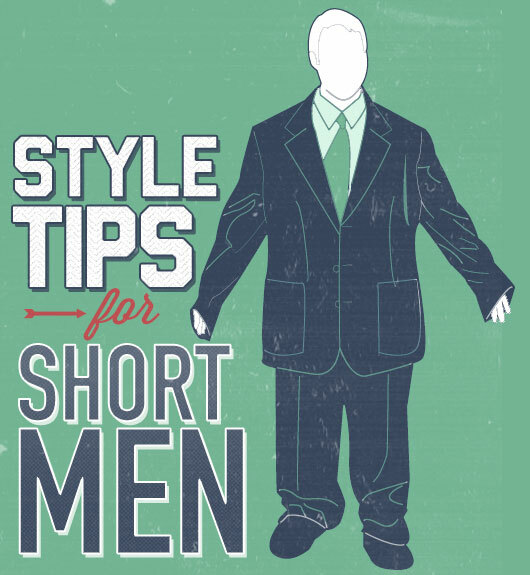 Check out his free guide: How to Dress Taller: 11 Crucial Style Tips for Short Men. Brock, I have been looking for a website like yours for a while. Was actually just searching for swim trunks and shorts for shorter guys yesterday. Perfect timing for this post! I’m 5’6″ with an athletic build: good for fitting in the cockpit of fast, pointy jets but bad for finding clothes that fit. Just subscribed to your site and look forward to checking it out. Not sure if you have checked out ForTheFit.com but they market to shorter guys as well; bought one pair of jeans from them which are a little tight with almost unusable pockets but do look good. I’m trying some shorts from Bonobo’s and Original Penguin when they get here in the mail. Hey Julian! Thanks for the comments, and glad to hear you like the site. We have a similar build… maybe I should have been a fighter pilot! I haven’t bought anything from forthefit.com, but I know of it. Would you buy from them again? I’ve ordered Bonobos pants in the past, which were too baggy for my liking. I think they have newer, slimmer cuts, but I can’t vouch for them. Peter Manning NYC is a great company catering toward men under 5’8″. Check them out sometime! I’m a big fan of Bonobos. I’m 5’4″ and their 5″ and 7″ shorts fit really well. Especially in the slim fit. I do really like their Guideshops where you can try everything on and talk to the very knowledgeable folks that work there. I read your blog Brock and I’ve been hoping to see you review Bonobos! Thanks for the article. Not a great article. Best places for short guys to shop: Top man, Uniclo, express men, Ben Sherman, diesel. I’m 5’6 and shop almost exclusively at these stores. Should also add Armani exchange, Benetton, and American eagle for younger guys. I’d agree with some of these, like Topman and Uniqlo. It’s also about personal style and budget. Lots of guys (I’d say most) won’t or can’t buy designer clothes. Also, many American men won’t buy from UK companies, as you can’t try the clothes on before buying. About American Eagle… they have some good fits, but I felt too old for their clothes after my early-twenties. You’re right – not a great article……..an AWESOME ARTICLE. Thanks Brock for being a leader and giving away so much value for free! Zara and Massimo Dutti are popular in Asia where the average build is smaller than the US. Their styles are usually slim, and shirts are cut shorter lengthwise. The two companies are under the Inditex, and have similar sizing. Uniqlo, mentioned below, is another store which is gaining in popularity and has origins from Japan. You’re right that the Asian companies tend to fit us smaller guys better. I took a trip to Southeast Asia and did a little shopping in Hanoi. Everything fit so much better! I haven’t heard of you guys, buy it looks like clothing for boys (ages 2 to 16) not adult men. Aaron – About BR, as I mentioned in the article, “Try to avoid their button down shirts and polos, as they tend to be too long.” Their pants, however, are great for shorter guys. I don’t shop at J. Crew for the reasons you mentioned, although their new 484 fit pants are nice if you want slim fit pants that aren’t too tight. Short men aren’t the only ones who have it bad, or even the worst! Its easy to get clothing that may be a little big and get it tailored to fit, but if you are tall and skinny/athletic, you struggle to find clothing that comes close to being big enough. I know you mentioned BIg and Tall stoes, but those are geared only towards men who are just that big AND tall. Being 6’7″ with an athletic frame, I have given up shopping in stores, and only go online, where there isn’t too much either. I have just started to do custom online tailoring, but you are right about all the cons listed. Do you have any recommendations for guys like me? I hear ya. We’re not the only ones that have it tough. Really any guy that doesn’t fit the average build – 5’9″ and average/slightly overweight – is going to struggle to find clothes that fit well off the rack. I recommend checking out a blog called There Are Giants. It’s all about style for the big dudes out there. Check it out! Thank you for that webpage, it seems to be quite interesting! Hey Dan – J. Hilburn can accomodate up to 6’7″ and there are style advisors all over the US – what city are you in? Seattle. I haven’t heard of them before, i’ll have to check both that site and blog out, thanks! Tons of great tip there Brock. While I am 5’6 I fall into the big and short category. Being a weightlifter most of my life is a blessing and a curse and shopping for clothes can at times be frustrating. I have found that suit purchases need to be done as separates since my size fluctuates between 50-52 while pants are 38. I have had great success with Cut & Sew Jeans altered with the original hem. Also staples like Express are a must. A majority of my wardrobe comes from these two retailers. I was a huge fan of Levi’s Red Line Slim Boot Cut jeans but the have been discontinued so if you can find them online or in a thrift store I recommend you pick them up. Thanks for showcasing styles for short guys since shopping can at times be cumbersome. Thanks for the tips, Rich! Good points about keeping the original hem and buying suits as separates! 5’4″, 200 lb manlet checking in. For jeans, I find that I can order a 30″ length and it will be long (or short) enough for my legs. The challenge is finding something with enough leg room. Hey John – thanks for the comment. You probably know this, but it’s important to make sure that when you are trying pants on, they fit in the seat and thighs. They might be way too long, but hemming is easy and cheap. Fixing the seat is difficult and expensive. This is rad. Well done! I’m 5’6″, 140 lb. Flat front pants, slim cut pants with no cuff work best for me. I like Brooks Brothers Milano non-iron chinos for standard work wear. They actually make a 29″ inseam, which gives just a hint of break at the shoe on me. Couldn’t have said it better myself. Slim, flat front, no cuff. Sorry, I meant Lucky not True Religion. Equally expensive though. Still love the site man. Fair enough. Glad you like the site! Well written article. While short men do have a disadvantage when shopping so do tall and slim as Dan K pointed out – or any height person that does not fall into the “norm”. J. Hilburn Men’s clothiers is a good choice for great quality and amazing prices. Being around 5’8.5″, I am not sure that American designers have my size in mind (then again, I am not overweight). I am a size Small in many, many clothes, and even then some can be baggy/too large. If I am in fact around average, designers should make that a Medium. In fact, I bought Mediums for quite a while simply because I figured that an average size person should wear that. I have shorter arms, too, which is a pain when buying shirts. Even if a Small fits, the sleeves are likely too long. I get that it can be a fraught issue, but I bought a couple of shirts from the boys’ sections recently. It was slightly demoralizing in a way, but the shirts fit me (boys’ shirts often have shorter arms, which works for me). I am right at the outside of the largest boys size, so maybe some men smaller than me can try it. The clothes are generally less expensive, so one may be able to spring for high-end items. It is not perfect, but it may work for you. You are right on, man! The sizes are not correct at most major retailers, and the arms are almost always too long. Nothing wrong with hitting the young men’s or juniors department! Can you guys do an article like this but tailored towards husky, bigger guys? My best friend is newly single and trying to redefine his image but has no sense of style or direction. He’s stuck in his high school fashion and needs something more appropriate to his age, mind you he is 26. I hope an article is in the works in the future. Thanks! LOL you want to know pain? I’m 5’1″. Don’t be afraid of layering up. I’d say avoid bold patterns that would accentuate the belly, but coats and jackets will look great on you. Read this article from RMRS – http://www.realmenrealstyle.com/short-broad-stout-clothing-men/ – just wear stuff that fits (nothing too tight or baggy). Get everything tailored. I’m dating a guy that’s 5″6, and have some styles I’d like for him to explore. First off, how does a girl even start that conversation with anyone? Specifically though, I’d like to see him in something casual chic like a business/sports jacket with a sharp pair of slacks or jeans. He was in the Marine Corps, so all I’ve ever seen him in were his uniform or jeans and a graphic tee. He’s built a bit like Scott Caan whose style I like. Btw, do shorter men feel hung up on height? Would love to hear your two cents. Thanks for your question. A marine built like Scott Caan? Sounds like you’ve done pretty well! It’s a tough topic to bring up. You don’t want to insult him, and buying him something for him might be a little too forceful. You may want to direct him to the site RealMenRealStyle.com. Antonio, who runs that site, is a former Marine. His style is pretty basic, but he really understands fit, and you’ll never catch him in a graphic tee. He likes to dress for the occasion, and there is almost never a good occasion for a graphic tee (except maybe high school or a UFC fight…). RMRS is a great site for anyone looking to get inspired and step up their style in very easy, basic ways. Also, next time you go to the mall or shopping, you could nudge him to try something on (like a blazer or pea coat) and make a big deal about how good it looks. Really turn on the charm… a little positive reinforcement never hurt anyone! Finally, you could buy him something, but make sure it’s a safe bet – a v-neck sweater, or some desert boots. Something he’ll definitely like. And if he loves jeans, make sure he’s wearing dark, slim jeans (if he isn’t already). For his build, the J. Crew 484 fit, Express Rocco or Lucky Brand 121 would all be great options. Oh, and to answer your last question. Height is definitely a source of insecurity for many men (and women). Some shorter guys aren’t bothered at all by it, but I think most of them are to some degree. Even if it doesn’t play into your self-image, it still makes things like buying clothes a pain. So yes, men do get hung up on height, but some more than others. The key is to own it and not let it own you. After all, we can’t change it. Brilliant post Brock! More men need to read this and realise fashion isn’t a road block to looking good! I really appreciate the article. You’re right, I googled this topic and other than your article, all I got were tips to look taller. It’s a little more difficult for me, since I’m pretty broke since I got laid off and I’m now in a lower paying job. I’ll try and stick to stores like Levis and H & M or look for the sale racks at the others. You can find lots of good stuff at H&M. Won’t be high quality, but fit is more important anyway. Great article, I do appeciate all the information. This is so helpful especially since I’m 5’2 and will be 20 in a few months. Much needed! Awesome website by the way. Brock, great article. Thanks! I purchased Aiden slim fit chinos from Banana Republic online which you recommended previously for guys my size and they’re a great fit for me being 5’4, 130lbs. Stopped into my local brick and mortar BR today, found the same sizes bit the prices was considerably more. BR constantly has online sales at around 40% off which is great and made me a return customer. Now, if I could only find reasonably priced shirts without pockets. Pockets even on small shirts end up at my waistline. Custom made shirts seem a bit beyond my budget. Clear and concise. Great info! Hi. My 21 year old son is not quite 5′ 8″ and about 145 lbs with short arms. He wants a leather jacket and I can’t find one that isn’t huge on him even in a small. Any one had any luck with this? Please help! I have a very important interview I’m flying out for in one week! I need a suit jacket that fits me for once in my 50 years! I wear a 46 Extra Short! If we alter a short in the sleeves it doesn’t look right! I am in Louisville KY and there is nothing anywhere! I’ve called everyone! please email me at [email protected] ! Thank you! Solid advice, thank you, Brock. I’ve been following your sight for a while. Though I don’t consider myself particularly short at 5’9″, with a 47″ chest and muscular build, I have had enough struggles with OTR clothing to share your pain. More and more I’ve found BR to be my go to store for the best fit. For shirts, suits, and sport coats, I’ve found MTM to be well worth a little extra money. Sorry if this is a dumb question, but why no shoes with lifts? I’m 5’7, with a very feminine build. Thinnish, wide hips, short legs with bigger thighs, the works. When I put lifts into my shoes (2″), it evens out my body considerably, making my hips and thighs in particular look waaay closer to the way they should. I dress pretty casually, since I’m 18 and don’t really have anywhere to be, and I only ever wear them with boots. Should I stop wearing them? I will also vouch for American Apparel’s shirts. I have a shirt from there that’s even a little short on me, so their shirts are good for very short dudes. great. I must say I found here really very great styles & designs. Thanks for offering me a great collection of T shirts for Men & Hoodies. I must say people need to try designs from here also. I hope it will help in getting wonderful design ideas. 5-2, athletic build here. H&M is my go to for short sleeve shirts, American Eagle for long sleeves, and Levi’s boys section for jeans (505 is my go-to). Shoes thankfully aren’t a problem. Interesting article, my husband is 5’1″ and finding clothes and shoes that fit him properly is practically impossible, luckily my Mom and I can do basic alterations for him but now I also know what to look for if I’m shopping for him. Thanks! i want a perfect selection of suit for my brother’s marriage function. I’m 5’1″ and 16 years old. Finding clothes is extremely difficult. I often have to shop in the little boys’ section. It’s not fun. Just a note of caution on Lucky jeans. I love the heritage 121 LEGEND slims BUT the company CAN NOT get the sizing right when it comes to inseams. Virtually 100% of the 32″ inseams on the LEGENDs are in the 30-31″ range. This is simply infuriating. The company’s answer is that they sell the jeans rolled up in a cuff and they do not get that when you measure them cuffed the 32’s are really about 28’s! Seriously, how could they be that stupid? If this happened once or twice i would give them a pass but it has happened four times and i finally went out and bought RRL’s just so i could get a true 32″ inseam. Hey Brock… Thanks for your article. It’s nice for short men around the globe.. Well I am 5’1″ guy. I would like more suggestions on how to get dressed apart from what you have said in your article. Finally an article that provides a variety of shopping options for short men. Top Man and Short Man Clothier are best for shorts that fit in both inseam and reasonable leg opening. Fit to the body is critical for us shorter guys. A short partner wouldn’t hurt either.. Personally, I’d never use them because I know what I want. There is nothing wrong with having a stylist, though I have never seen anyone who used clothes from a subscription or box service that I would describe as well dressed. It may work for some but not for people really interested in classic, quality clothing. Your next favorite pair of jeans.